By: Tina Dornbusch and David Lynn. It’s a great time to be in the solar industry. Innovation never stops, driving continued technological improvements and cost reductions. The industry is growing rapidly as a result. With more than 58 GW installed by Q3 2018, solar capacity has had an average annual growth rate of 59% over the last 10 years, according to the Solar Energy Industries Association. 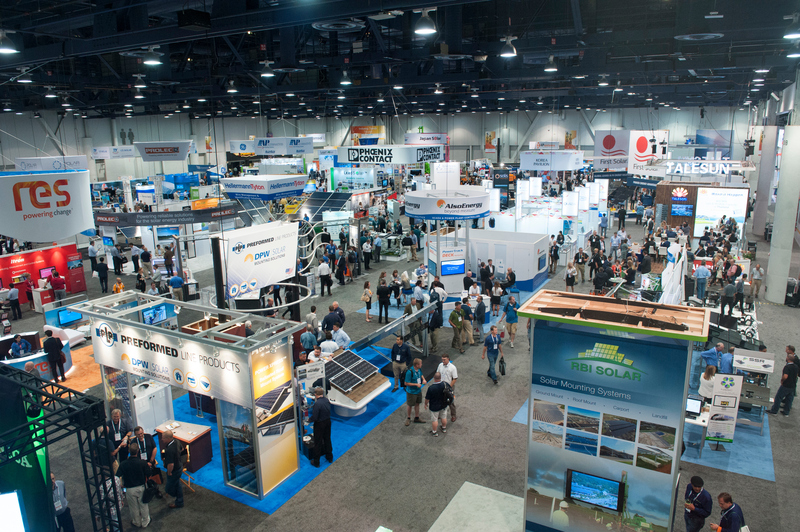 Merit SI employees recently attended Solar Power International, also known as SPI, the fastest growing and largest solar show in North America. It was an exciting and invigorating experience, a reminder of the significant value that we can offer to our customers. Bifacial modules: Bifacial modules allow for energy capture not just by the top side of a solar panel, but also by the back side, allowing for the harvesting of energy reflected by the ground as well as that directly irradiated by the sun. While the deployment of the technology on a utility scale is just beginning, bifacial modules represent an exciting advance in the solar industry. Smart SCADA/Controls market: While at SPI, our team conducted a survey to gain a better understanding of existing needs for plant controls and SCADA systems. Over 70% of respondents had little or no understanding of the implications of IEEE 1547-2018, highlighting the need for Merit SI’s expertise in this regulation. IEEE 1547-2018 is an emerging grid integration standard that requires Distributed Energy Resources to apply advanced “grid-friendly” control functionality to the system. The standard has been recently published, and the industry is waiting on the testing procedure IEEE 1547.1-2018. Utilities have been planning adoption of the standard for several months. Energy storage: A subset of SPI was focused explicitly on energy storage: Energy Storage International, or ESI. With dozens of battery storage vendors exhibiting, the team was able to evaluate commercially viable technologies and further develop relationships with various significant players in the industry. SPI was an inspiring display of the robustness of the solar industry. Our team met with dozens of vendors, technologists, and other partners across the industry. We look forward to further discussions and to leveraging the industry’s advancements to provide better services to our customers.